For years, Design Data has been actively and aggressively responding to industry BIM needs by working to create functional tools within the software. Enhancements include developing a 3D electronic application to enable engineers to approve the model; improved imports and exports, such as an IFC export that includes sequencing and status information; and creation of an interface for collaborative software, such as Navisworks and Solibri. 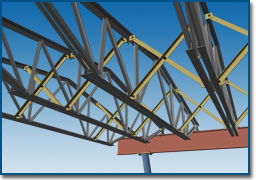 Through software development, users have the ability to export models that can be imported into all the major collaborative products that create a federated (BIM) model. 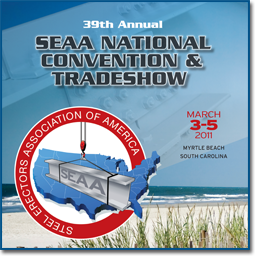 Design Data will exhibit at the Steel Erectors Association of America (SEAA) National Convention and Tradeshow March 3 - 5 in Myrtle Beach, South Carolina. As the leading professional organization dedicated to the advancement of steel erection, this year's event will include more educational and networking opportunities, focusing on how to bring business value to an organization. 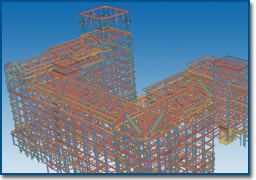 The NASCC Conference -- to be held May 11 -14 in Pittsburgh, Pennsylvania -- includes a session that focuses on the specific ways companies can utilize enhanced technology to improve the quality of their shop drawing review. The Improving the Shop Drawing Review Process session will include several demonstrations and panelist discussions. Design Data's Michelle McCarthy and Harley Ellis Devereaux's Jim Corsiglia are among the scheduled panelists. The session is slated for Friday, May 13 at 8:00 a.m. To view NASCC's advance program, click here.